It's certainly not hot, but it's not too cold either so I'm getting away with certain pieces of my wardrobe, that should probably be stored away right now for winter :) **cue these knee high boots** However, I was headed to brunch on Oak St., and couldn't disappoint myself or my girls for a good weekend slay! Loved playing with layers for this look. I wouldn't normally pair two jackets with two different hem lengths...but I fell in love with this cranberry jacket from Windsor! 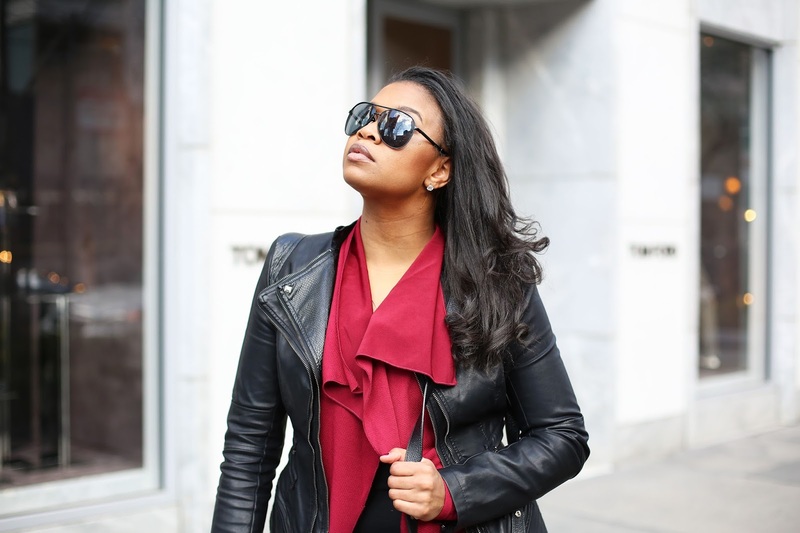 Instead of just wearing my regular leather jacket, that I absolutely love and adore, but the Windsor jacket gave it a completely different look! Outfit links below!